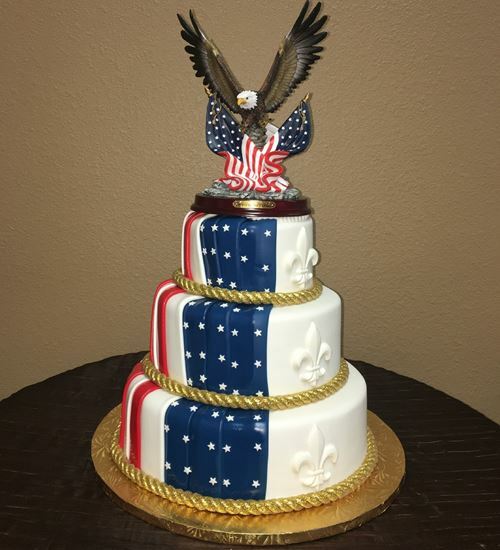 3 Tier cake with 6", 8" and 10" round tiers decorated with an American Flag and gold rope. The Eagle statue topper is not included. Serves 50 - 60 slices.